No one is quite sure why Pacific white-sided dolphins have returned to Howe Sound, but one thing is for sure: they’re a sign that this ecosystem — once all but dead — is making a truly inspiring recovery. One theory behind the dolphins’ return is that it’s due to the recovering herring population. Back in the 1970s, herring had all but died out in the Sound, along with many other marine species. Some blamed the runoff from a wood preservative plant that used to operate out of Squamish. Some blamed the century of toxic mineral leachate coming from the Britannia Mine. Either way, by the time the ’70s rolled around, Howe Sound was as clear as a glacial lake — beautiful but lifeless. In 2005, the provincial government awarded a 20-year contract to Epcor, an environmental cleanup agency, to build and operate a $15 million facility to clean up the mining pollutants. Within just a year or two, simple organisms like barnacles and algae had returned, and the area quickly began to flourish. At around the same time, in a totally unrelated project, an independent group of researchers and environmental stewards called the Squamish Streamkeepers started investigating and protecting the areas where herring were attempting to lay eggs. In just a few short years, the Streamkeepers have seen the number of herring spawnings increase every year, and this year they made the exciting discovery that the hatchlings from 2007 had returned to spawn. We may not always have been kind to her, but lucky for us, Mother Nature is a pretty tough lady. 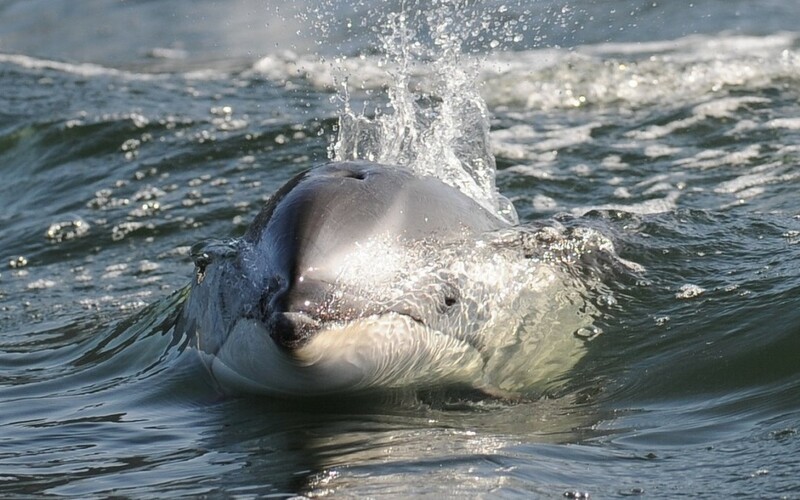 These days, Howe Sound is home to over 100 marine species, including eel, octopus, urchins, anemones, seals, numerous varieties of fish — and now dolphins.